deBebians specializes in an array of fine jewelry, which can range from men’s wedding bands to bridal jewelry. We also design and manufacture a beautiful collection of gifts that are appropriate for wedding anniversaries, such as eternity rings, diamond solitaire pendants, and cocktail rings. Today, I wanted to put some of our gemstone cocktail rings on display. These rings, like all of our jewelry, are manufactured to order to the exact dimensions of the center stone. These rings can each be found in our Gifts Over $1500 section. 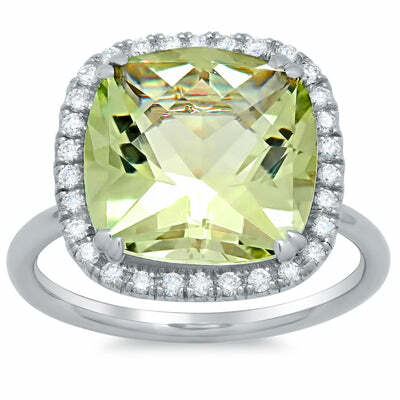 I love the calming, sage color of green amethyst. This ring has a plain band while the center stone is surrounded by a halo of sparkling white diamonds. 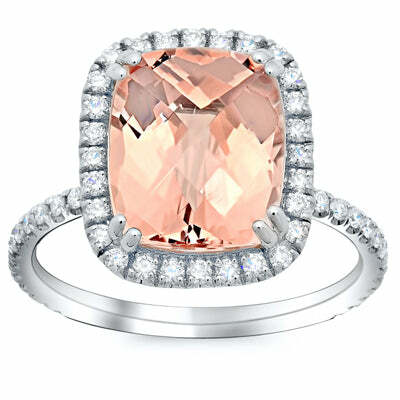 The center stone has an approximate carat weight of 7.50 ct.
Morganite has continued to gain popularity over the years. This halo cocktail ring features a double prong setting, which will hold the 5.00 ct cushion cut morganite center stone securely. 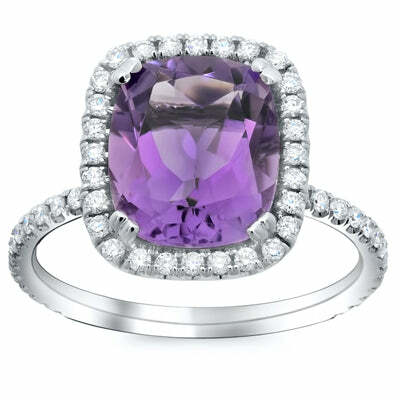 A 4.50 carat cushion cut amethyst is set into this dazzling diamond halo ring. 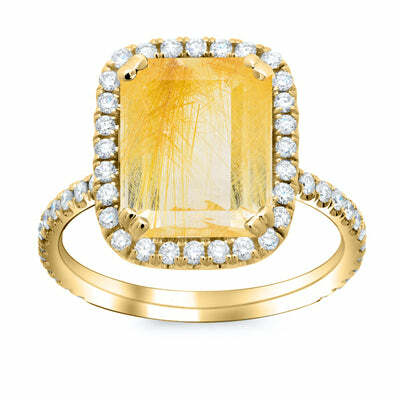 The ring may be purchased in your choice of 14 kt gold, 18 kt gold, palladium, or platinum. This ring features one emerald cut rutilated quartz, which will weigh approximately 7.00 ct. We have an array of stones to choose from, which you may do so by utilizing the provided drop-down menu. 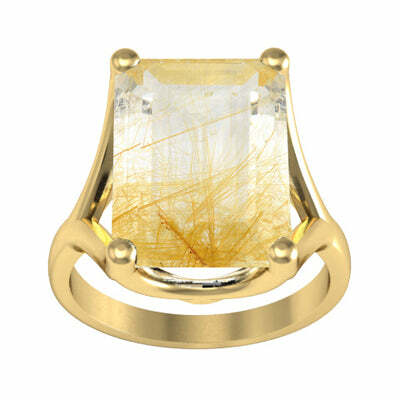 For the woman that prefers a little sparkle, we also have a rulitated quartz halo ring. In addition to the finger size, you may choose which gemstone you would like by using our provided drop-downs. This ring is made in 18 karat yellow gold. Looking for something that you can’t find from deBebians? Contact a deBebians jewelry expert and ask us to create a custom piece of jewelry just for you.